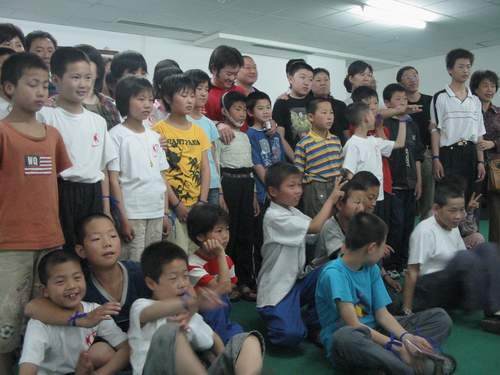 Orphanage - "Hong De Jia Yuan"
Deeply impressed by its story, Tianchu Miaoxiang keeps long-term connection with an orphanage called Hongde Jiayuan and provide support when applicable. 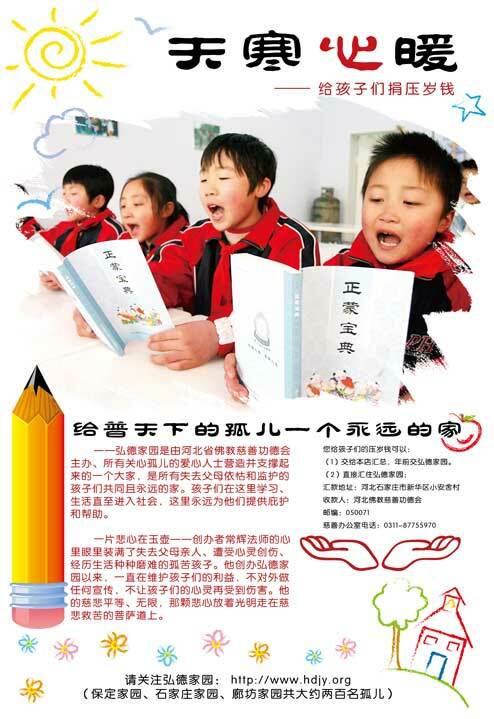 For instance, before Chinese New Year, Tianchu Miaoxiang will have a post in both Tsinghua and Chaowai branch to call on donating "Yasui Qian(money given to children as a Chinese New Year gift)" to orphans in Hongde Jiayuan. 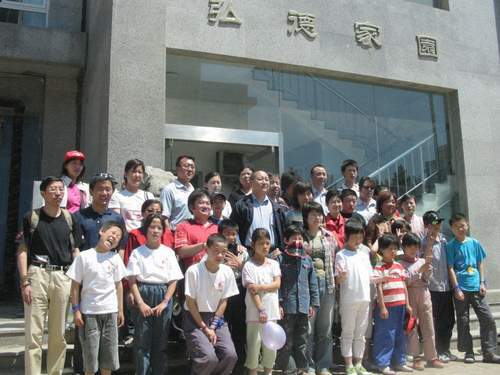 Hongde Jiayuan has 3 branches and they are all located within Hebei provices: Shijiazhuang, Langfang and Baoding. 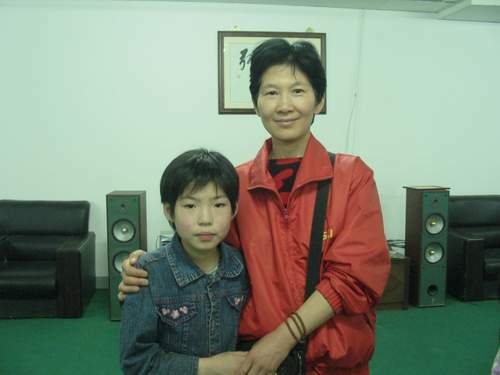 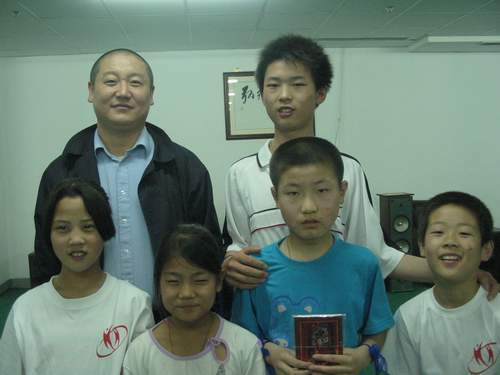 The founder of Hongde Jiayuan hopes to build a warm and cozy home for the orphans and help them grow into competent, responsible and warm-hearted person with Chinese traditional virtue.